EOS 6D Mark II, what’s all the fuss about? I’ve had an in-depth look at the EOS 6D Mark II capabilities and want to share my thoughts on the new camera with you. I’ve not been able to shoot images with the camera as yet, but did get time for some hands-on with the camera. I’ve been deep in the functionality, and you can also pick up the camera and not realise it’s different from the EOS 80D. The lack of a pop-up flash is the most obvious change. When you look through the viewfinder it’s a bigger brighter experience but still with 45-points it feels the same. In the hand there’s little difference in the two cameras. The vari-angle LCD is great after all these years, I’m pleased that Canon have implemented it in a full-frame camera – it has necessitated a slight increase in the depth of the camera body, but it’s not much. Similar to the EOS 5D Mark IV, the remote release port, moves to the front of the body to free up space on the side. You can see it just below the lens release button. Ok so there’s no 4K movies, or headphone socket and thats not good. However from my experience running workshops for EOS 5D Mark III, EOS 7D, EOS 5D Mark IV, EOS 5DS R, EOS 7D Mark II and EOS 80D less than 3% of my workshop attendees have tried to use, or use, their camera’s movie capability. What is good is that there’s 60fps at 1080P. Also missing is the headphone socket so you can’t monitor the audio being recorded. 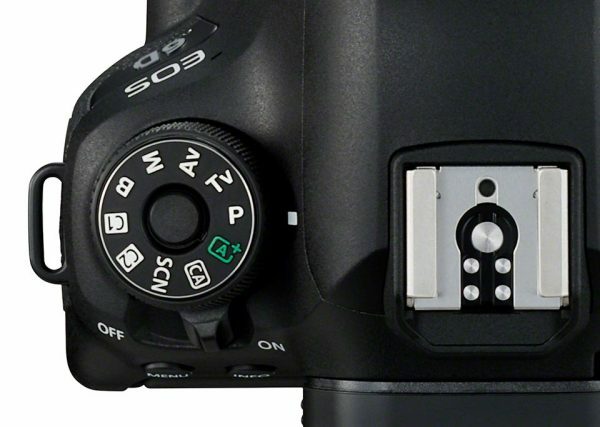 The EOS 80D has a headphone socket. If you want to do in-camera time-lapse then the camera can be set to capture 4K time-lapse sequences saved in Motion JPG, at either 25fps or 29.97fps. Dual Pixel AF, yes the camera focusses really quickly and accurately thanks to dual pixel AF for live view and movies. If you’ve tried the EOS 80D or EOS 5D Mark IV you’ll know how good this is. Also the naming of the different AF modes for movie and live view modes has changed in line with the EOS 800D and 77D. So out goes Flexizone AF and Flexizone single point, and in comes Smooth zone and live 1-point AF. Essentially you have the same AF capability as the EOS 80D. All 45 points are cross-type points with f/5.6 lenses. There’s 27 points that will work with f/8 and 9 of these 27 will still be cross-type at f/8. The centre point is a dual cross type with increased precision when using f/2.8 or faster lenses. This is good news if you have the 1.4x III extender and the EF 100-400mm f/4.5-5.6L IS II USM lens. The EOS 6D Mark II does have Spot AF in addition to single point AF. If you need to focus on a smaller area this can be a real help. Portraits with wide aperture lenses where you want critical sharpness on the eye, Spot AF is your friend. I use this on my EOS 5D Mark IV in these kind of situations. EOS 80D doesn’t have Spot AF, only single point. For tuning the focus system, there are no AF cases, but like the EOS 80D the three parameters that are changed by AF cases, are also configurable in the custom functions. I am pretty sure that the AF module is the same for the EOS 6D Mark II and EOS 80D. Looking through the viewfinder the AF points are much more tightly grouped in the centre of the frame on the EOS 6D Mark II than the EOS 80D. WiFi is there, as is GPS and Bluetooth. I’ve got to say i’ve hardly ever used the GPS on my EOS 7D Mark II and EOS 5D Mark IV. Bluetooth means compatibility with another way to trigger the shutter, and a simple way to connect the camera to your smartphone. The GPS system fitted is similar to the latest one found in the EOS 5D Mark IV so it should be able to find its location much more readily than the original EOS 6D. To conserve battery life, the GPS has the same Mode1 & Mode2 options as the EOS 5D Mark IV, I suggest using Mode2 to get the longer battery life when using GPS. Bluetooth helps simplify configuring the the camera wifi setup too. 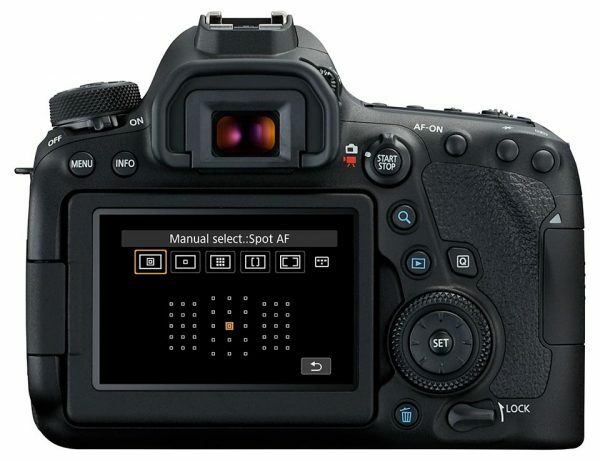 You can connect the EOS 6D Mark II to EOS Utility with wifi, to remote control or shoot tethered. The USB connector is the smaller style one, so it will be less durable than on the EOS 5D Mark IV and EOS 7D Mark II and it’s only USB 2.0, not 3.0 high speed. The mode dial is similar to the EOS 80D with a mix of P, Tv, Av, M, SCN modes, auto modes and two configurable custom shooting modes. The only difference is the lack of flash off mode – as there’s no built-in flash on the EOS 6D Mark II. The exposure metering is the same system as the EOS 80D, it features a 7,560 pixel RGB+IR sensor. 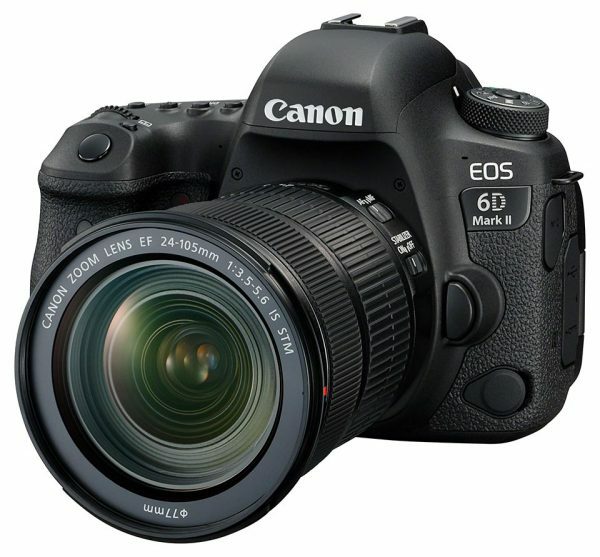 This simpler unit gives the EOS 6D Mark II the same capability as the EOS 80D. The exposure metering sensor is used with 45-point and zone AF focus areas to help the camera change AF points and track subjects moving across the frame. The layout and structure of EOS camera menus has been consistent for many years, the EOS 6D Mark II has taken the approach as refined it somewhat. The difference is most noticeable in the red zone menus. They change significantly when the camera is set to movie mode making access to the movie settings faster than other EOS cameras. Other menu tabs are very similar in layout, with the comprehensive customisation of the green My Menus first seen on the EOS 7D Mark II. I love my 6D Mk1. I can’t afford to upgrade anyway, but if I could, would it be worth it? I don’t do much action, and apart from better AF, a moveable LCD (which I don’t use much on my M3 anyway) and updated processor, does it offer much to existing 6D users, especially given the hefty price tag? Thanks for the comment. There’s plenty of incremental updates to the new camera. Is it enough to move you from a 6D Mark I? If the better AF and 6.5fps is not suited to your work, then possibly it’s not enough to move you. I expect that the key will be how does the picture quality work out, but as yet it’s not a known quantity. I just bought the Mark II and there is one feature that is a godsend: The ability to choose between Mode 1 and Mode 2 GPS. The GPS data is critical to me. With the 6D I had to remember to shut off the GPS after shooting. Otherwise the GPS remained on indefinitely and drained the battery over night. The Mark II allows you to choose Mode 2, which turns off the GPS when you turn off the camera, but as soon as you turn it back on it re-established the GPS connection. Finally! That alone, for me, was worth the upgrade, but as I said, I rely on GPS. Love my 6D, the extra AF points would be good but there is not enough for me to justify the cost. Perhaps in a year or two when the price has come down and my 6D is showing its age. Hi there i use to take photos with a nikon d90 and wasnt happy at all, i am going to upgrade to a 6d mark ii…wich lense would you say will be perfect to start for couple shoot, families and even weddings? Personally I’d choose one of the three suitable standard zoom lenses. EF 24-70mm f/4L IS USM, EF 24-105mm f/4L IS USM or if funds are limited the EF 24-105mm f/3.5-5.6 IS STM.